Salt Bar Kingscliff, Beach Bar and Bistro has really thought about families in the set-up of this establishment. 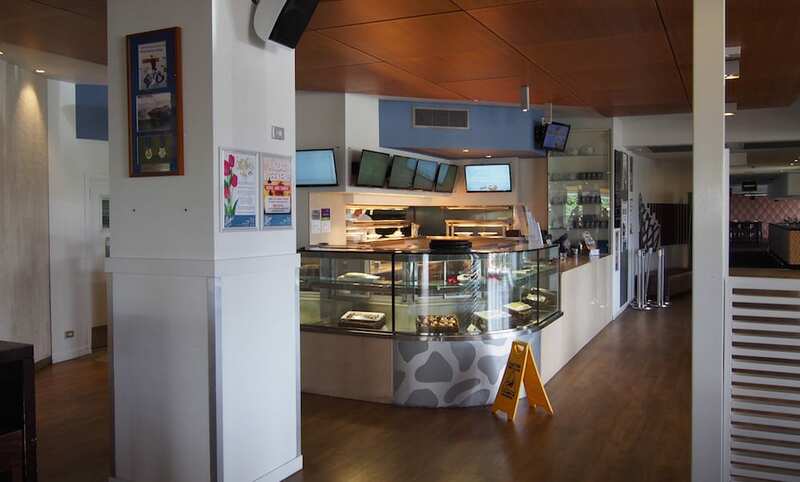 Located in the fairly new part of Kingscliff – ‘Salt’, the premises are sleek, modern and BIG! 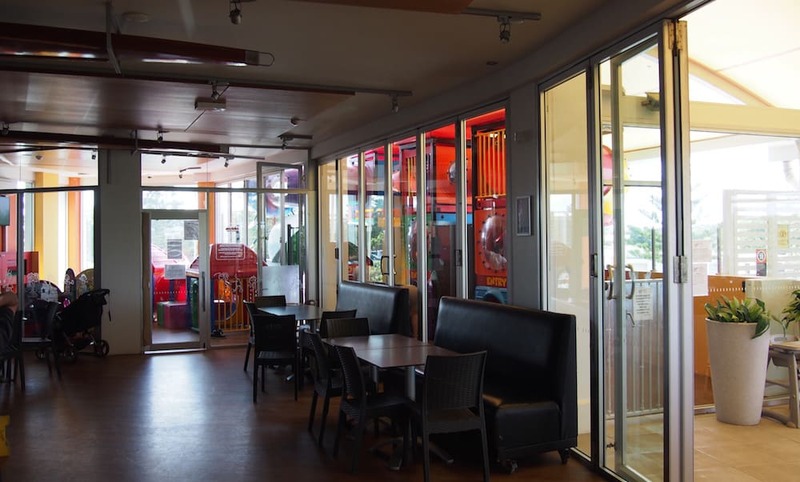 There is tonnes of space in this beach-side bar – including the HUGE gated play area, with a room for littlies and a huge climbing structure for bigger kids. 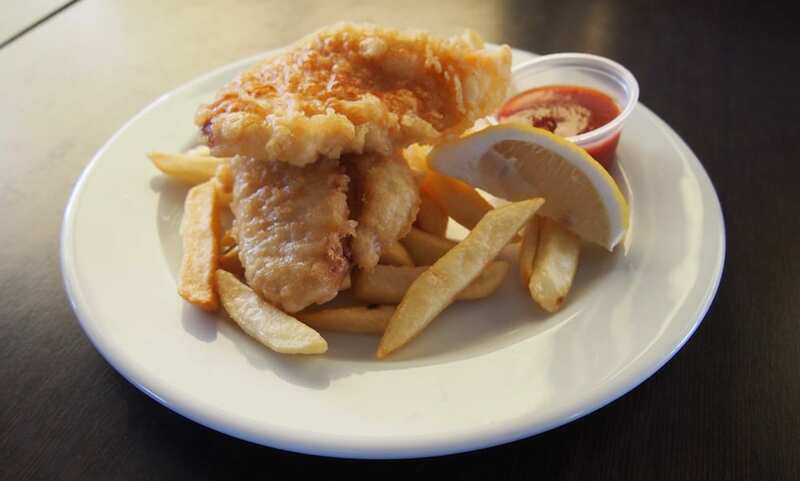 With a variety of meals on the menus still coming in at under $20 – and kids eat free offers, it really is an affordable and fun option for local families and those visiting the coast. Let’s start with the kids. I had doubts whether they’d eat anything at all, given how vested they were in the play area. Within minutes they had made a ‘new best friend’ who was visiting on holidays from Sydney, and they immersed themselves in play with him, asking to be let out of the gate every now and then to grab a drink before diving back in to play. However, we ordered them some trusted faves – fish (tempura snapper!) 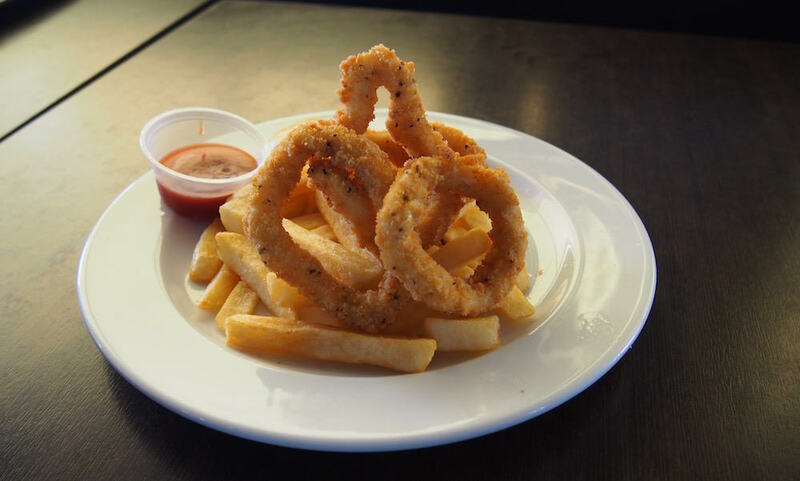 and calamari. They came in at under $10 and were devoured, the kids claiming it was the nicest fish they had ever tried. Given it was a birthday, us adults went a bit fancy with our choice (Check out the pics – Delicious! ), and it was really nice to be able to enjoy that beautiful lunch together while the kids played safely in the gated area. I saw lots of meals come out as we sat and watched the kids play, and they certainly put effort into how everything is presented. The meals LOOKED as spectacular as they tasted. The menu had a HUGE variety of meals as well as prices, there really was something for everyone. FYI: Salt Bar shares their FULL Bistro menu HERE. The staff were super helpful, I asked them about special offers and they were excited to tell me about Thursday rib night and … here was my favourite – FREE WINE WEDNESDAY! I foresee a few Wednesday work meetings here in my future. Like I said, tonnes of room. Fully pram accessible with great baby change facilities. This is a new building so everything is super-clean and nice. A beautiful huge sunroom area really added to that coastal vibe. There was a lot of parking and the beach is right there if the kids had any energy for an ocean dip after all that climbing. The family section is at the opposite end of the building to the gaming area, which was really great. There was no reason for the kids to have to go near there at all. Very chilled out. Nobody is sitting right on top of anyone else, and there is a definite coastal vibe going here. 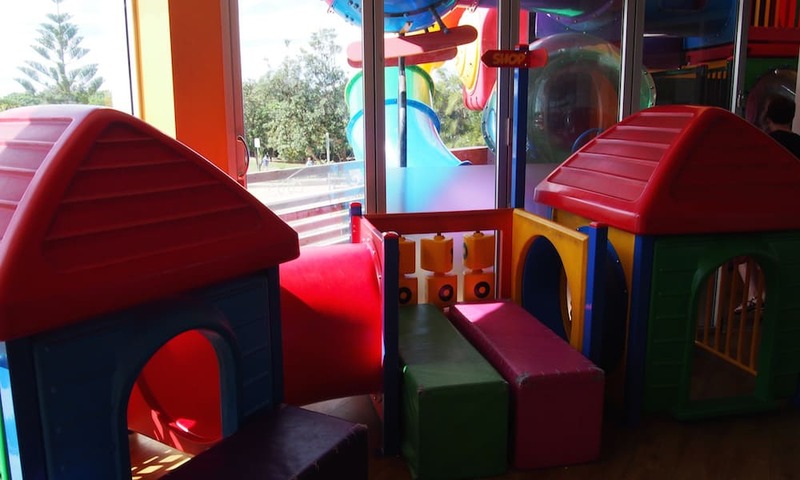 The fact that the facilities are so heavily designed with families in mind, makes you feel really welcomed and relaxed. 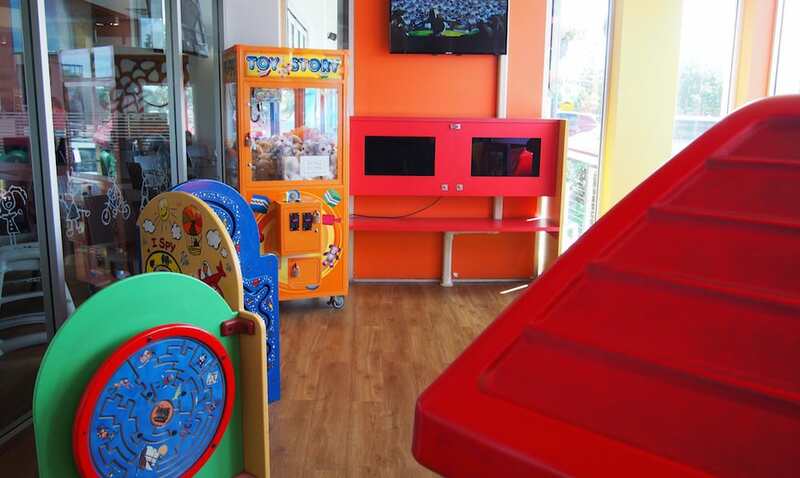 The kids area. It’s one of the best I’ve encountered. None for me. The kids were happy, the food was AMAZING – we’ll definitely be back. Kids eat Free: Sunday, Tuesday and Thursday: receive a complimentary kids meal with any main meal purchase of $17.95 or more. Free Wine Wednesdays: Buy any two main meals and get a free bottle of house red or white wine. 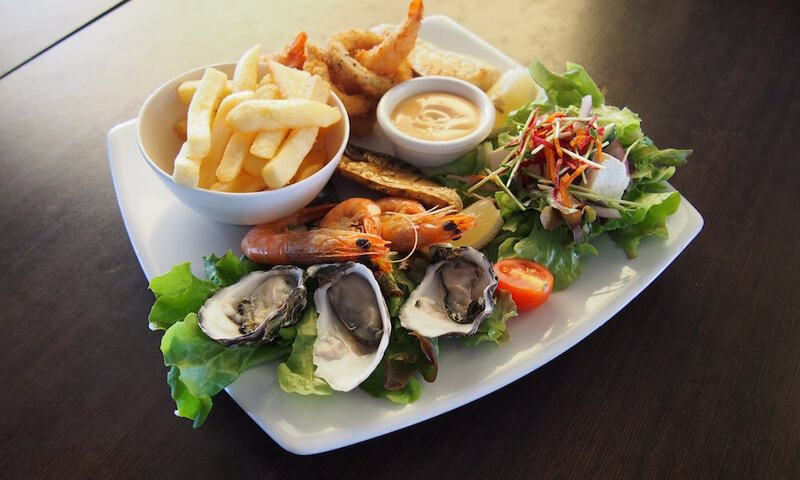 Lot Two is located on the ground floor of the Seagulls Leagues Club overlooking the sparkling Terranora Broadwater with both indoor and outdoor dining. 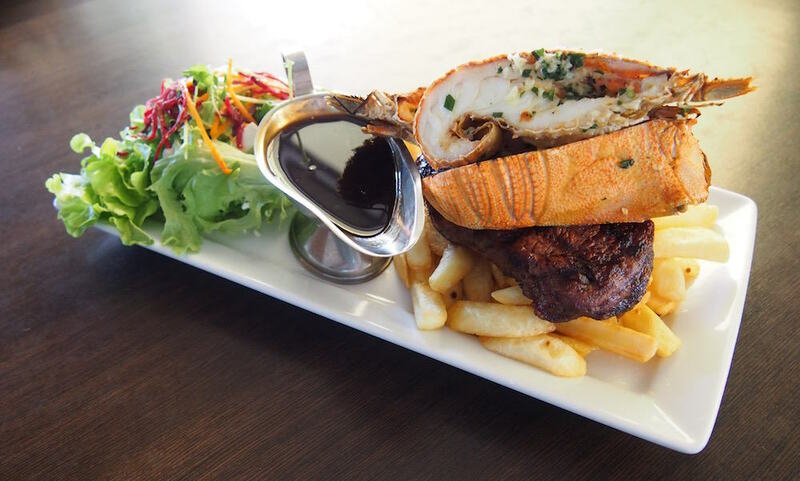 Time: LUNCH FROM 12PM – 3PM, DINNER FROM 5.30PM – 9PM, SALT BAR CAFE 10AM – LATE • NOTE: SALT BAR OPERATES ON DAYLIGHT SAVING TIMES.